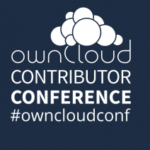 Participating in the ownCloud Conference? In this blog you can find all the practical information you need to know. If you can’t make it – check out our live stream! 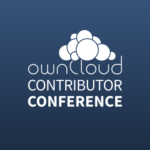 The ownCloud Contributor Conference is just a couple of days away and we’re excited to welcome all of the participants in Berlin. To make this experience as easy and enjoyable as possible we’d like to give you a little guide with all the practical information around the conference. All detailed information can also be found on the website! Please register in advance for the conference. It only takes a couple of minutes and can be done on our site. On arrival, make sure to pick up your badge and food tickets at the entrance of the »Mathematik« building. Carrying your badge is mandatory, especially after 18:00 and on the weekend! Frida and Monday-Thursday the registration booth will be on the 6th floor of the building – just follow the signs. WiFi is provided and can be used with a Guest Account. During registration you will receive credentials after you’ve given your name and email address. Many rooms also offer network cables and (EU-) power plugs. As you know, the conference will feature a Hackathon as well as a wide range of talks, workshops and networking opportunities. You can find the full conference schedule here. 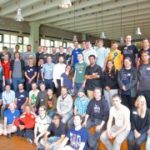 We organized a “Starters Room” (MA642) for anyone who is looking for somebody to talk to about a specific person or who is just new to the ownCloud world. Another reserved room is for “Scheduled Meetings” in case you want to discuss specific topics with relevant people. You can find the details for the scheduled meetings here. Note that all meetings are open – join any subject you’re interested in! Find more info on what’s where and what’s what, as well as ways to find out who’s who on our info page. Of course the conference is not all about work – we want you to enjoy your time in Berlin. Use the opportunity to explore this vibrant city with its 3.5 million inhabitants. It is not only the capital and biggest city of Germany, but also one of Europe’s major hotspots. Berlin is considered a world city of culture, politics, media, and science for good reason. Interested in exploring the city? We have created a wikipage with tips for non-conference entertainment. There is of course also a lot of information at Wikipedia on Berlin and Wiki Travel on Germany, on Berlin and WikiVoyage on Berlin. 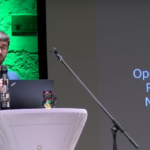 So, enjoy the conference, build some awesome stuff and have fun, we’re excited to see all of you in Berlin!